Sverre Helge Hassel (30 July 1876 – 6 June 1928) was a Norwegian polar explorer and one of the first five people to reach the South Pole. Sverre Hassel was born in Christiania (now Oslo), Norway. As soon as he was old enough, he went to sea, earning his mate's certificate. Between 1898 and 1902, Hassel participated on board the Fram in Otto Sverdrup's attempt to circumnavigate Greenland. Along with Helmer Hanssen, Hassel was picked as an expert dog driver to take part in Roald Amundsen's South Pole expedition 1910 – 1912. 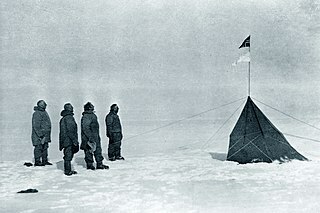 On 14 December 1911, Hassel together with Amundsen, Helmer Hanssen , Olav Bjaaland and Oscar Wisting were the first to reach the South Pole. For his participation in the expedition, he was awarded the South Pole Medal (Sydpolsmedaljen), the Royal Norwegian award instituted by King Haakon VII in 1912 to reward participants in Roald Amundsen's South Pole expedition. Mount Hassel: peak at the northeasternmost summit of the massif at the head of Amundsen Glacier, in the Queen Maud Mountains in Antarctica. ^ "Sverre Helge Hassel". Norsk Polar History. Retrieved June 1, 2017. ^ "The Polar Ship Fram". The Fram Museum. Retrieved June 1, 2017. ^ Susan Barr. "Sverre Hassel". Norsk biografisk leksikon. Retrieved June 1, 2017. ^ "Sverre Hassel". lokalhistoriewiki.no. Retrieved June 1, 2017. ^ Roald Amundsen (1912). "The South Pole : an account of the Norwegian Antarctic expedition in the "Fram," 1910-1912". London: John Murray. Retrieved June 1, 2017. "Sverre Helge Hassel (1876–1928)". The Fram Museum. Archived from the original on 24 July 2011. Retrieved 17 October 2011. Mills, William J. (2003). Exploring Polar Frontiers: A Historical Encyclopedia. 1. ABC-CLIO. pp. 12–. ISBN 978-1-57607-422-0. Retrieved 2011-10-17. "Sverre Helge Hassel". Store norske leksikon (in Norwegian). snl.no. Retrieved 2011-10-17. Fredrik Hjalmar Johansen was a Norwegian polar explorer. He participated on the first and third Fram expeditions. He shipped out with the Fridtjof Nansen expedition in 1893–1896, and accompanied Nansen to notch a new Farthest North record near the North Pole. 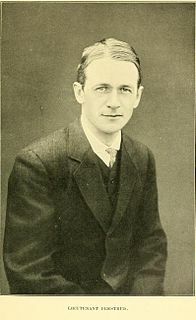 Johansen also participated in the expedition of Roald Amundsen to the South Pole in 1910–1912. Oskar Omdal was a lieutenant and pilot in the Royal Norwegian Navy. The Japanese Antarctic Expedition of 1910–12 was the first exploration of Antarctic territory by an expedition from Japan. Led by Army Lieutenant Nobu Shirase, its ship Kainan Maru left Tokyo in December 1910, reached the ice on 26 February 1911 and sailed on into the Ross Sea. As it was very late in the Antarctic season, the ship was not able to get beyond Coulman Island, and returned to Sydney, Australia to winter there.